Many in the James Bay region of Quebec are sharing cherished memories or sage bits of advice given to them by elder William J. Stephen. He passed away April 5 at the age of 89. From Cree leaders and regular folk to many of his 13 children, 62 grandchildren, 123 great-grandchildren and 18 great-great-grandchildren, James Bay Cree are sharing cherished memories and sage bits of advice given to them by elder William J. Stephen. Stephen, known as Billy boy, passed away April 5 at the age of 89 and has left a legacy that resonates across the Cree Nation. 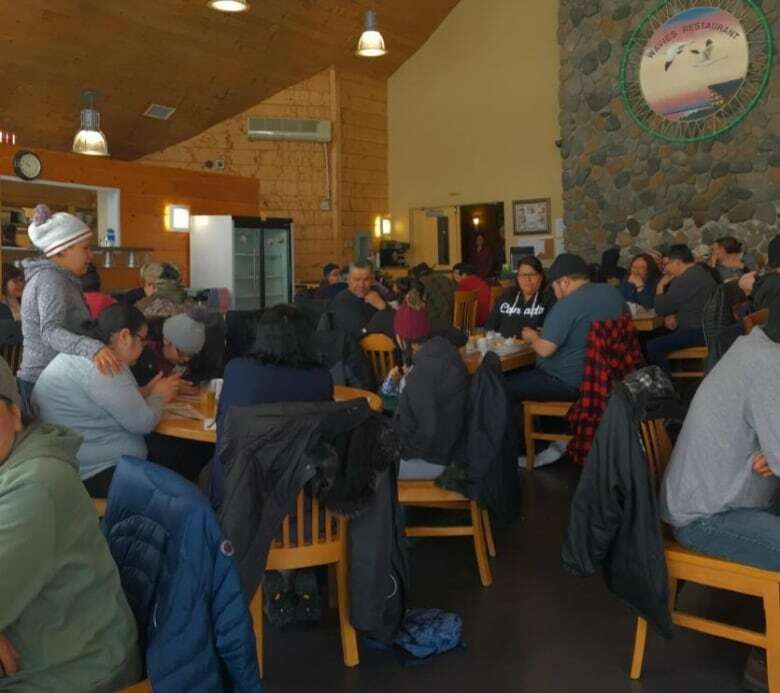 On Monday, many of his descendants filled Wavies restaurant at the Auberge Kanio-Kashee Lodge in Waskaganish, Que., for a memorial breakfast in his honour. "You kept us all together, you taught us," wrote granddaughter April Pachanos on Facebook. "I'll forever cherish our moments together ... our talks, your words of wisdom, your knowledge." 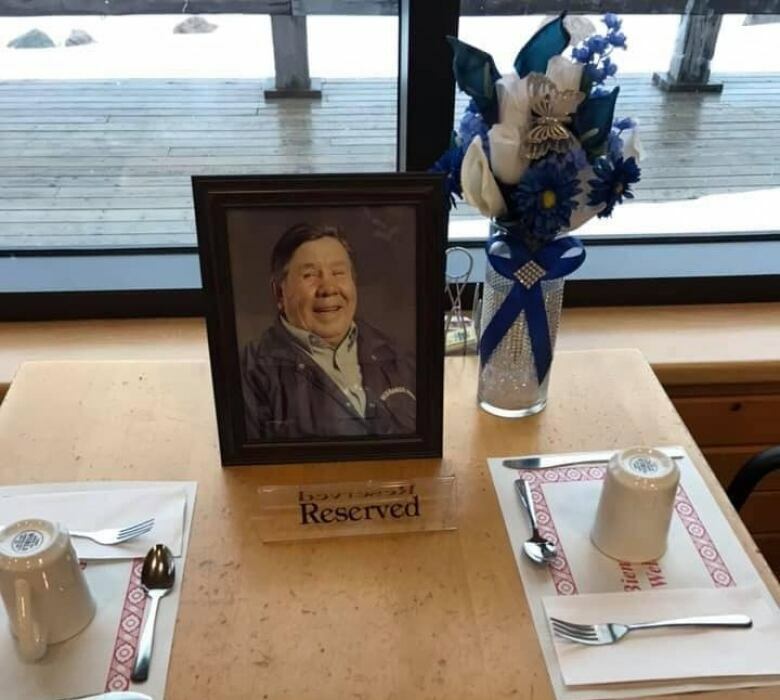 His photo was placed at his usual table by the window and stories were shared of his great capacity for love, laughter and wisdom. Stephen's funeral was held Tuesday in the community of more than 2,500 located at the mouth of the Rupert River on James Bay, more than a thousand kilometres north of Montreal. "Dad, you have touched many lives throughout your lifetime and you will be fondly remembered," said his daughters Nellie S. Pachanos and Lucie S. Trapper, while delivering part of a eulogy in English and Cree Tuesday. "You taught us to always respect one another and those around us." Stephen grew up spending a lot of time on the land learning a traditional Cree way of life from his parents. They were hunting and trapping skills he later used to support his growing family. In the late 1960s and early 1970s, Stephen also found himself an advisor to many of the young Cree leaders who were organizing the fight against the hydroelectric plans of the Quebec government. That fight would lead to the signing of the James Bay and Northern Quebec agreement. 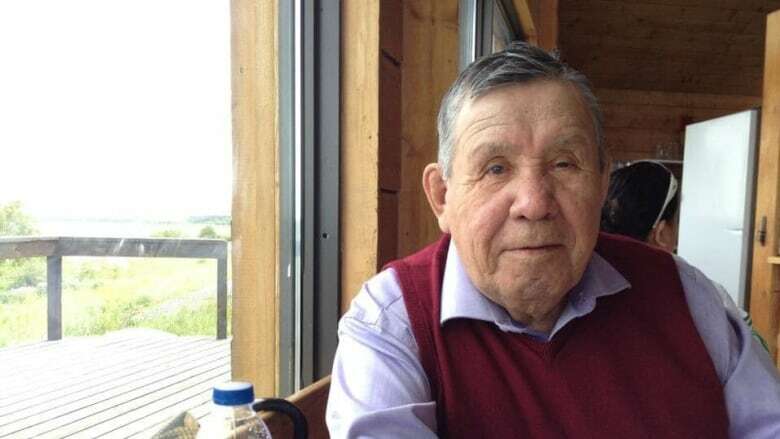 Bill Namagoose, the executive director of the Cree Nation Government, tweeted that Stephen was an important mentor to him after Namagoose was elected chief of Waskaganish at the age of 26, adding they talked every second day for about 10 years. "His best teaching to me was how to find and interact with the soul of our community," wrote Namagoose. Cree Grand Chief Abel Bosum first met Stephen at the age of 22, when he started working for the Cree Nation Government. "He was wise. He knew how to turn things to make them more positive," said Bosum in an interview, adding he would often share stories of his life as a hunter and trapper and how they persevered. Cree lawyer Paul John Murdoch wrote on Twitter that he was sad the youth of tomorrow won't get to know Stephen's teachings directly. "[I] was asked last week for evidence of legal pluralism or Cree legal system, my answer was you only have to listen to Billy Stephen," wrote Murdoch. According to family, education was very important to Stephen and he was among the first Cree parents to place all his children in the French sector at the local school in Waskaganish. All his children are fluent in French, according to his granddaughter, April Pachanos. "He always told us to go to school so that we could get a good job," said Pachanos, who listened well and went on to collect two college diplomas, a certificate in French from Université du Québec en Outaouais and an honours degree in communication with a minor in Aboriginal studies from the University of Ottawa.